Still fighting the winter blues? There’s no need to toss your health and wellness goals out the window this winter, Naazneen Sali-Ameen, Nutrition, Health and Wellness Manager at Nestlé South Africa, has a few great solutions to help keep you on track when it comes to winter eating. 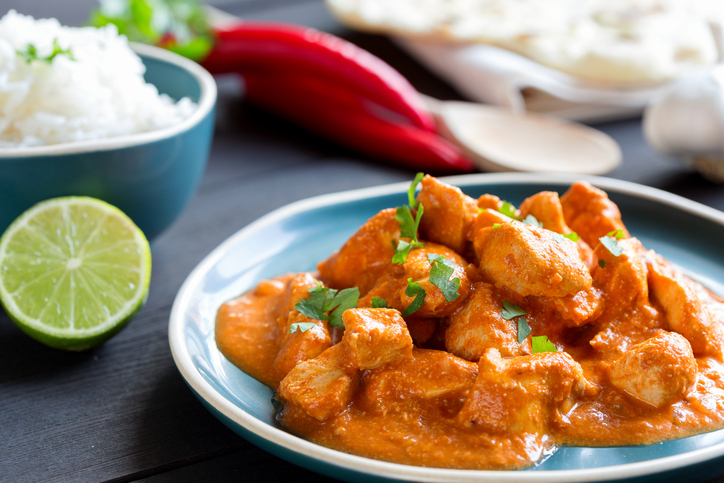 For example, instead of spending ages slaving away in the kitchen cut your cooking time in half with a simple ‘one pot’ meals, like this deliciously easy recipe for Butter Chicken. For the marinade, place 2 cups (500 ml) NESTLÉ IDEAL EVAPORATED MILK with 2 Tbsp (30 ml) lemon juice in a bowl and allow to stand for at least 5 min. Purée 6 cloves garlic and 1 cm fresh ginger, or crush with a mortar and pestle. Add the red chilli powder, coriander powder, cumin powder, salt and lime juice to the milk and lemon mixture and combine. Score the tops of 900 g skinned chicken pieces and marinate for at least 2 hours, or preferably overnight. To cook, heat 5 Tbsp oil in a large, thick-bottomed skillet and add the chicken pieces. Cover and allow the chicken to cook through on a low heat, turning the chicken pieces to ensure even cooking. For the sauce, scald 700 g tomatoes in boiling water, and peel off the skin. Squeeze out the pips and mash to a semi-pulp with a fork or a potato masher. Cook the tomato pulp in a frying pan for about 5 minutes, until the liquid has evaporated slightly. Add 75 g chilled butter and ¼ tsp (1.25 ml) paprika; after the butter has melted, let it cook for 1 min only. (NB: Taste the sauce at this point and if it has no sourness, add a few drops of vinegar). Grind the dried curry leaves in a mortar and pestle and crush to a powder. Add to the sauce, with the garam masala powder. Season to taste. Combine chicken and sauce and mix well. Cook on a low heat till creamy. Serve with a fragrant rice. For more helpful tips visit the Nestle Wellness website.